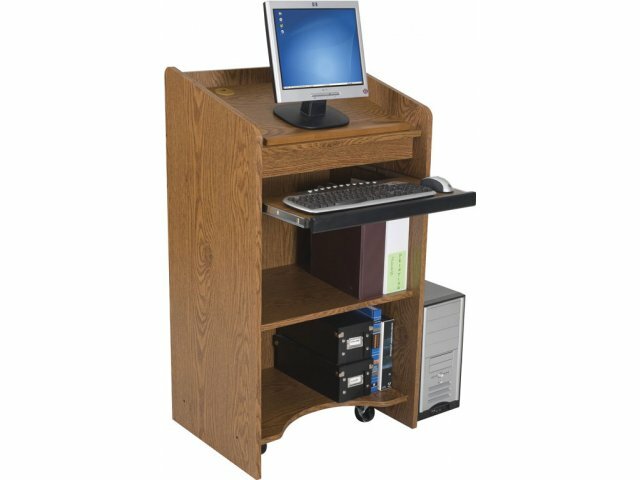 If you are on a budget but still want an attractive, useful, and flexible lectern, then you should look closer at the Floor Podium. 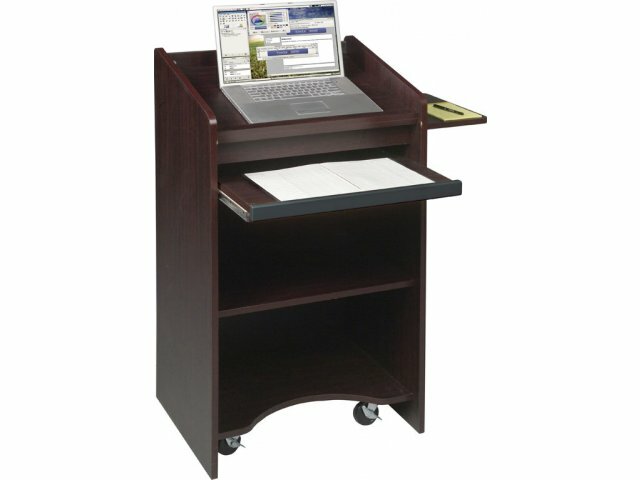 Speakers will appreciate the retractable keyboard/laptop shelf which includes a security lip to make sure that your laptop or keyboard stays where it needs to be. A side shelf is perfect for a small projector. The top is angled and has room to hide away the side shelf when you don't need it. Two interior storage shelves provide ample space for storage. 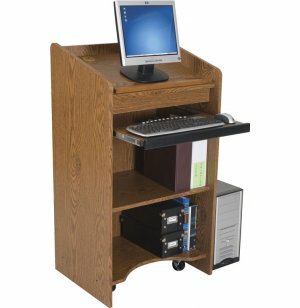 You can easily move this lectern due to the recessed 3" casters. 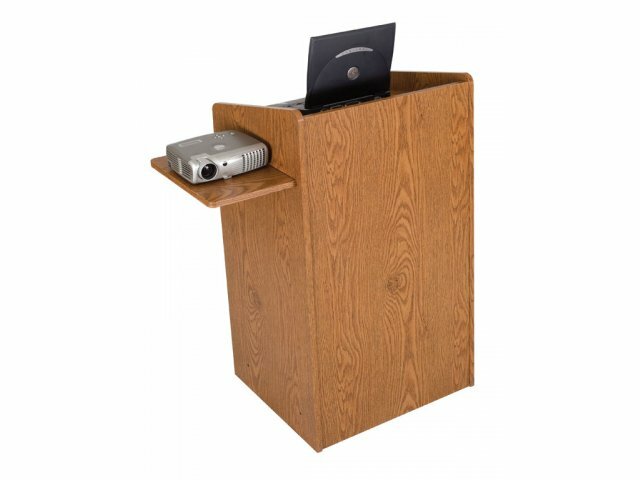 The recessed design means that the lectern has the look of a more formal permanent podium with the flexibility of mobility. 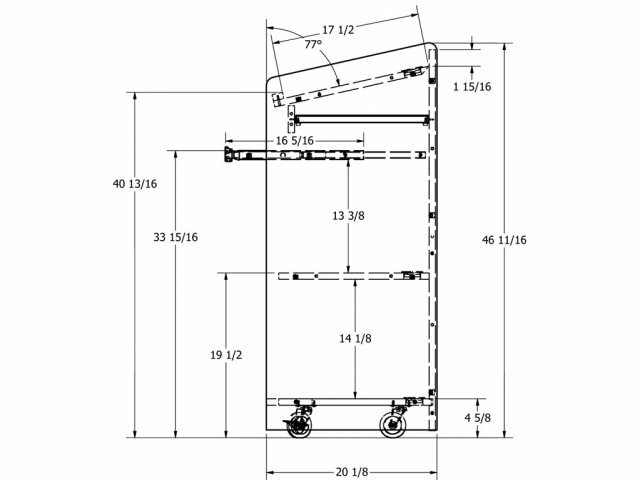 The casters are also designed to increase the stability of the floor lectern. Great Value: Get an attractive formal appearance at an affordable price. Comfortable Reading: An angled top puts notes, books or laptops at a comfortable viewing angle. Convenient Storage: Two interior storage shelves provide a great place for accessories and equipment. 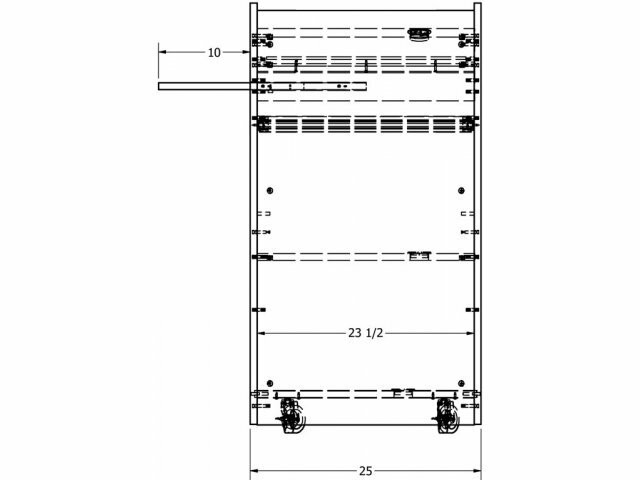 Extra Shelf: Side shelf for projector measures 10"W x 20 1/8"D and slides away when not in use. Height-from-floor of pullout shelf is 33-15/16". Hidden Casters: Recessed casters facilitate mobility without detracting from the professional appearance.